Home / FEATURED MERCH! 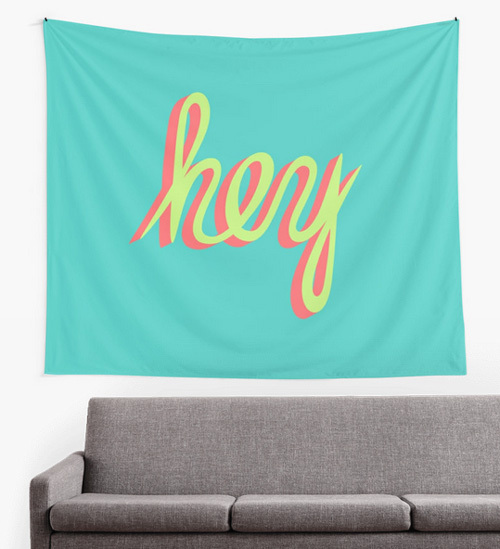 / Wall Tapestry. For Your Wall. 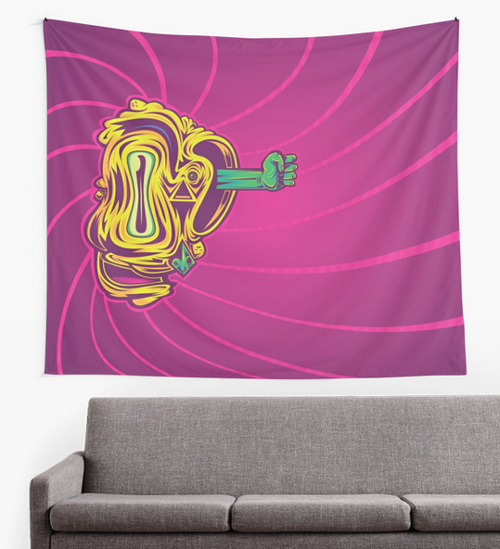 Wall Tapestry. For Your Wall. Wall tapestry. Popping off at Redbubble. I’m pluggin’ away at these sweet things. They’re taking me awhile, but the end result looks oh so crisp. 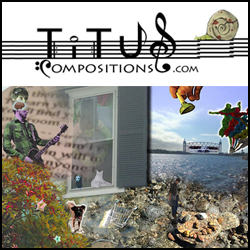 The files are pretty huge, so scaling up my vectors is putting my laptop through some strife. Got some of the important ones done though! 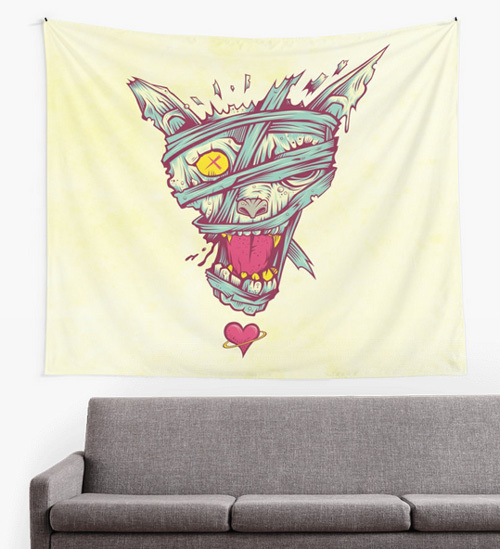 What can you say about a wall tapestry? Comes in three sizes. Small (60 x 51 in), Medium (80 by 68 in) and Large (104 x 88 in). 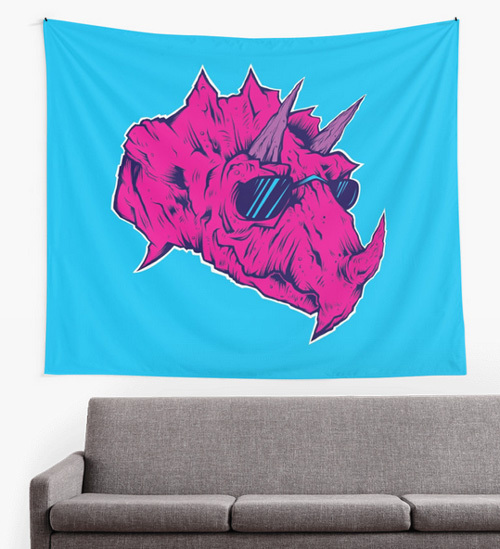 Who wouldn’t want a giant, 104 inch, too-cool-for-school Triceratops watching over you while you play video games? I know I would. Look at that smirk. Man, I need to draw more dinos. 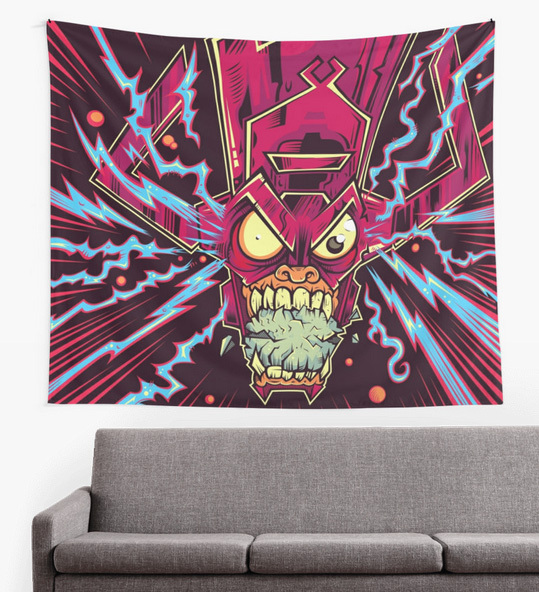 I have been waiting… And waiting… And waiting for Redbubz to get the Wall Tapestry option. Society6 has the wall tapestry for awhile, which was awesome. It has been one of my favorite products they offer. 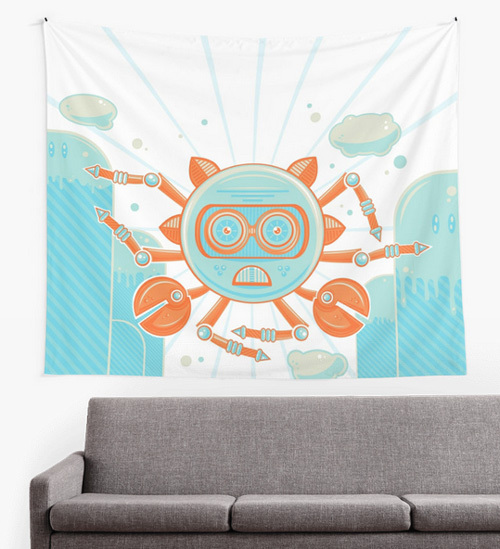 Redbubble just had the scarf, which was pretty big… But kind of transparent… And How would you hang that on your wall. You know? Glad they stepped up the game. Glad they didn’t make another variation of some graphic dress. Those are cool and all, but I’m not digging the black or white sleeve it comes with. 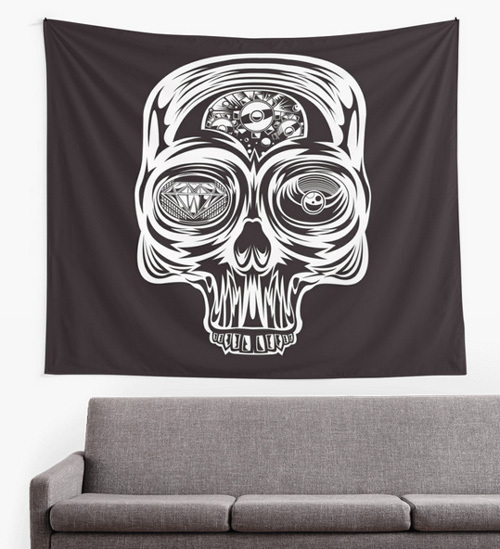 Society6 all over prints take the cake on that one. 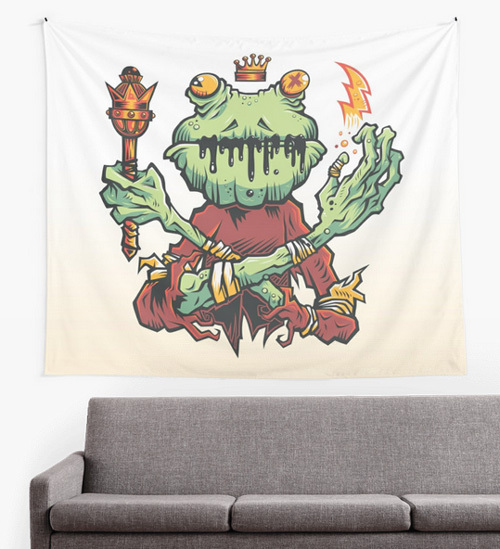 I’ll be uploading more tapestries in time. Trying to finish up some projects including another Aesop Rock drawing. Even started doing some rough sketches for some STA Origins. That’s just for fun and will probably amount to nothing. But it’s fun to work with the Duck House again. I missed that guy. Stay tuned for more stuff coming your way soon, okay!? Thanks for all your support, pals! PS. 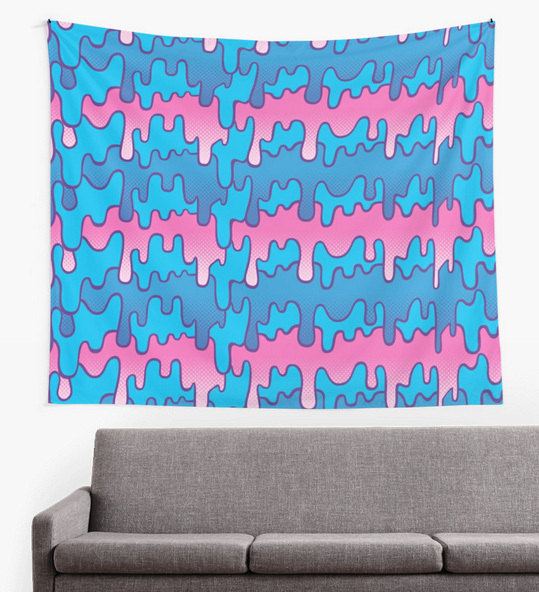 Check out some wall tapestry magic in the slides below! Next Ham Horse! Ham Horse! Ham Horse!